Is this someone that you would invite to your wedding if you weren’t paying them? Are they friendly, well dressed, likable, and fun? Or are they obnoxious, geeky and self centered? Meet with them in person and spend a half hour getting to know them before you decide. Use your “gut feel”. Is this the person that will actually DJ my event? Many DJ companies will send you a different DJ instead of the person you first interviewed. Be sure to get it in writing. Most will charge you extra for the person you want. Are they professional and experienced? Please don’t settle for “a good friend or relative who likes to DJ”. 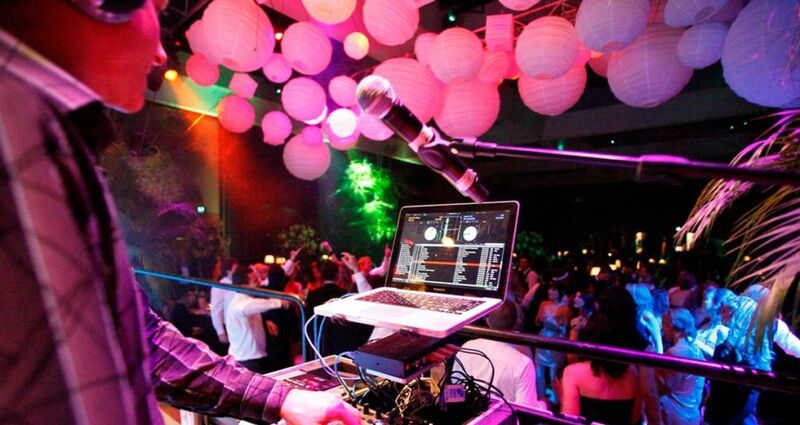 Make sure they are an experienced wedding DJ with at least 100 weddings under their belt. Ask for and check references. Do you want to trust your most important day to an amateur? Will they also provide reception planning and coordination services? If you cannot afford a bridal coordinator, your DJ should help you plan and run the event. As quoted in Premier Bride, “for peace of mind there should be a designated person to keep your reception running on schedule”. ﻿Is their equipment and music library up to date? In this new millennium, they should be using CDs and professional CD players, amps, speakers and mixers. Do they have a wide variety of music and the latest hits? Do they offer a lighting package? Do they have back-up equipment? Be sure to find out. Do they offer group dance instruction and entertainment to help kick start your reception if necessary? Sometimes guests feel timid to get out and dance and a veteran DJ will lead them in easy to learn dances that will break the ice.